 When carrying out a direct or indirect purge – air to gas or gas to air – our industrial and commercial gas engineers work to FGEM industry standards, with maximum planning and supervision a priority. When any gas pipeline de-commission service is carried out, a consistently high level of expertise and workmanship is implemented. Safety is paramount and consequently, all de-commissioned pipelines are left purged to air. CH Systems offers an all-encompassing service package, from pipeline sizing to appliance connection and commissioning, or we can provide any of the aforementioned as a singular service, should you require. We also offer scheduled or reactive out-of-hours and weekend services – as and when required, to suit your needs. For more information, please contact us at 0208 302 8149 or info@chsystems.cc.